Use the actions editor to view and edit actions for the selected cube. For any action, input its name and invocation type directly in its data grid row. 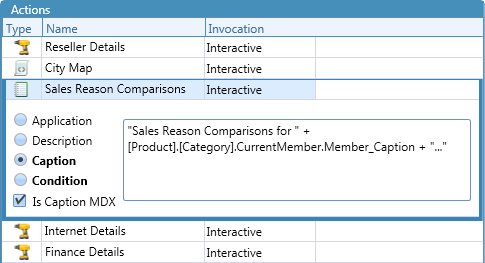 Specify an action's Application, Description, Caption, and Condition in the row's details area. 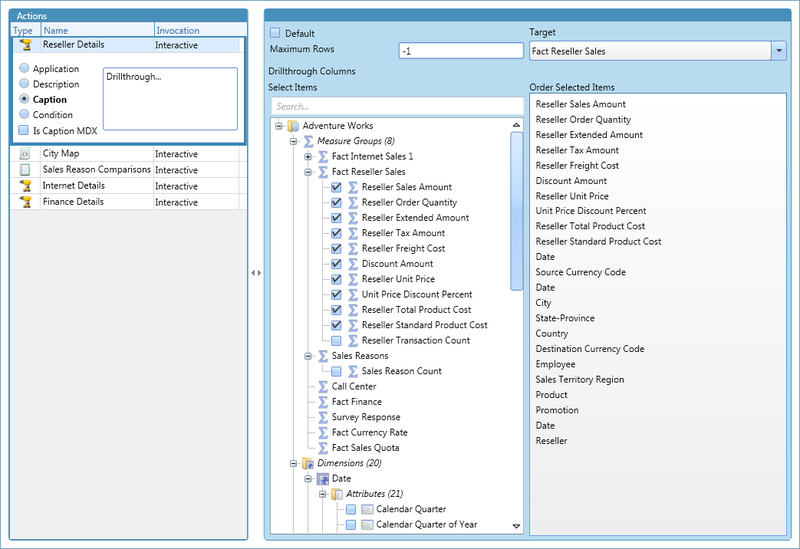 To select drillthrough columns in drillthrough actions, check an attribute or measure to select it. To order the selected items, use drag and drop within the Order Selected Items list box. 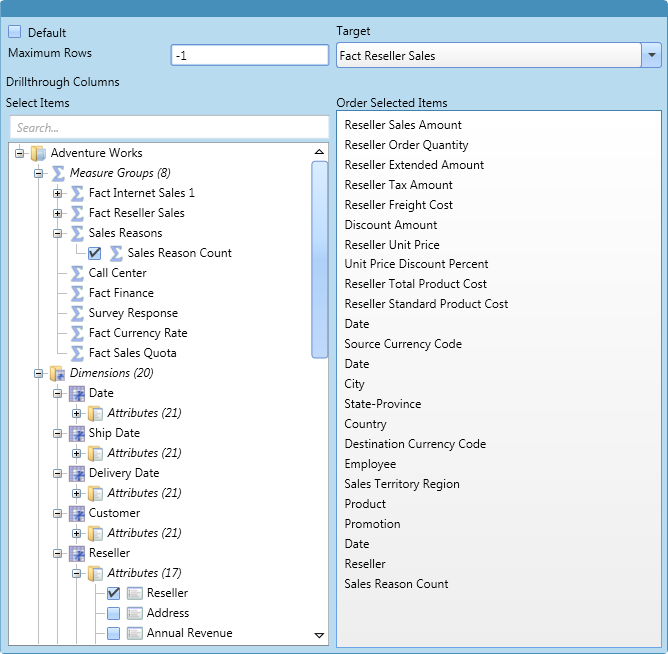 For report actions, add a format parameter and supply a value in its data grid row. Additionally, add parameters and enter a MDX expression for each. For standard actions, supply an MDX expression in the large text editor. DrillThrough Action Add a drillthrough action to the cube. Report Action Add a report action to the cube. Standard Action Add a standard action to the cube. 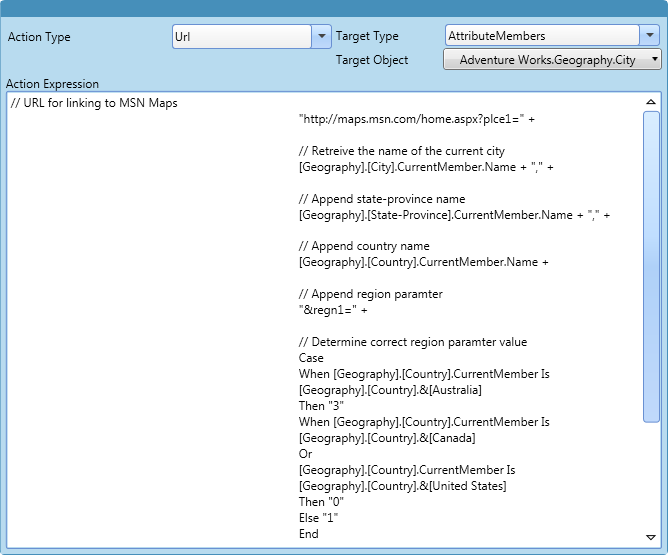 Format Parameter Add a format parameter to a selected report action. 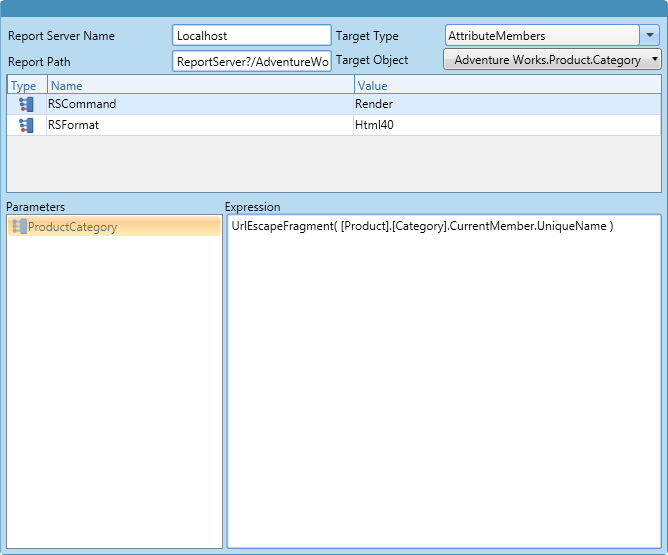 Parameter Add a parameter to a selected report action.